Here are December picks for music stations curated by PRX Music Format Curator David Srebnik of Virtuoso Voices. Find out what David listens for in music programming. "Are you on Twitter? PRX is on Twitter — I've found it to be an invaluable programming resource, providing information and updates on new program that are available on PRX. It's like getting an instant update from PRX without having to go to the PRX site. "One PRX Twitter feed contains a link to each new PRX piece. "The second PRX feed tells you which programs have been bought in real time." The ultimate holiday mix tape that should work on all station formats with Yo-Yo Ma, James Taylor ("Here Comes the Sun"), Dave Brubeck, Edgar Meyer, Chris Thile, Renee Fleming, Diana Krall, Alison Krauss ("The Wexford Carol"), the Silk Road Ensemble and the divine ukulele player, Jake Shimabukuro. You've got the music, stellar performances and big stars from throughout the genre spectrum — and it's the radio music programmer and music lover's dream come true. The piece intones the peace on earth message in and around the music in an unforced, pleasing and tasteful manner that is as graceful as one could ever hope for during the holiday season. Worthy of consideration for multiple airings. Imagine a musical party that celebrates the hopes, dreams and joy that animates seasonal festivals the world over. That is what inspired Yo-Yo Ma to create "Songs of Joy and Peace: The Yo-Yo Ma Holiday Party" with a remarkable group of friends. Hosted by John Schaefer, this one-hour holiday special combines the joy of music with the gift of discovery as shared and performed by friends old and new. James Taylor, Alison Krauss, Diana Krall, Dave Brubeck, Renee Fleming, The Silk Road Ensemble, Jake Shimabukuro and others discuss the collaborations they recorded with Ma. This is a deeply soulful send-off for the holidays that rocks, twangs, grinds and fais do dos. If there was a musical term for music with deep rooted guts, passion and meaning, I'd add that too to describe the performances and fresh takes on holiday classics and seasonal originals from Willie Nelson, Marcia Ball, Jimmie Dale Gilmore, Asleep at the Wheel, Ruthie Foster, the Rev. Horton Heat and others. Several stand-outs include a set featuring the Imperial Crown Harmonizers with Ruthie Foster, "People Get Ready," the Asylum Street Spankers, "You're a Mean One Mr. Grinch," Sara Hickman rendering "We are Each Others' Angels" and Tish Hinajosa's "For a Christmas Night." As is the case with other programs from David Brown and his Texas Music Matters colleagues, they made the decision to let the music sing out with a minimal host presence. And, the music does sing out, but you're not left unattended. Everything fits. Thanks and a special additional acknowledgment to the Texas Music Matters crew for taking the extra time and effort to repackage this local show on KUT for national presentation. That extra effort, time and editing are appreciated and makes everyone's life on the receiving end so much easier. Willie Nelson, Kelly Willis, Jimmie Dale Gilmore, Asleep at the Wheel, Ruthie Foster, the Rev. Horton Heat and many more are among the featured artists in this hour-long seasonal music showcase. There are inventive reworkings of some holiday classics, surprising originals, and exclusive live music recorded in KUT's legendary 'Studio 1A'. Hosted by David Brown of KUT's Texas Music Matters with minimal interruption. This program has been modified to suit broadcast over any station without need for local 'set-up' or explanation; just press play. Accommodates newscasts; includes two built-in instrumental beds for local underwriting and announcements. Happy Holidays and warm wishes from all of us at KUT Austin! "You're not going to hear Jingle Bells, and you're actually not even going to hear it in Spanish." - Jordan Sramek, Artistic Director of the Rose Ensemble. Here is one of the more refreshing holiday music programs of the 2010 PRX season. Tom Crann, MPR/APM's host/producer (and a long standing role model for classical music announcing), takes us through the warmth, sheer beauty, earthy beauty and delightful spikiness of Baroque music from Mexico. Not necessarily only for classical formats, "A Mexican Baroque Christmas with the Rose Ensemble" is ideal all day on weekends, weekday afternoons and Christmas day; it’s pleasing, substantial music to accompany or to bring relief to the ridiculous holiday craze. On the other hand, the musical flair and flavor of the Mexican Baroque is one additional way you can take your listener's holiday experience (with your station) to a higher ground. After taking in the harmonies and melodies – and especially the intoxicating rhythm and spicy percussion – you might need a designated driver. "Because of the beauty of the music, the variety of the voices, the liveliness of the personalities and the improvisatory support of gentle instruments, the performance was engaging from beginning to end." Add A Mexican Baroque Christmas with the Rose Ensemble to your holiday schedule, and your listeners will get a vibrant retelling of the Christmas story with some ancient music that sounds fresh and new today. Mexico in the 17th century was a time of great cultural and musical diversity. Those cross-currents produced church music that was infused with indigenous rhythms and dances. That colorful music is the centerpiece of this gorgeous and engaging Christmas special by the internationally-acclaimed Rose Ensemble. This holiday program features over two centuries of festive Christmas dances and songs from the great cathedrals of Puebla and Mexico City. With rich instrumental and percussive accompaniment, solos and choruses burst forth in this program that's a far cry from the same old Christmas show. Plus a couple of surprises for the season in this one hour production. The music is all rhythmic and tuneful and totally appealing. Hosted by public radio veteran Tom Crann, with the Rose Ensemble’s Artistic Director, Jordan Sramek, It’s A Mexican Baroque Christmas with the Rose Ensemble. Add this hour of beautifully performed fresh sounds for the season to your station’s holiday line-up. Fabien Ximeno Perez: Ay ay galeguinos. An absolutely delightful, pretty and engaging mix of music and (brief) storytelling that is as officially spiritual as you want -- or don't want. Every year, Vermont Public Radio's Cheryl Willoughby gathers music, stories and customs from the dark days of December and the hopefully bright lights of the New Year. As is the case with these shows from previous years, Northern Lights 2009: A Solstice Celebration's variety of music from all over time and geography, is masterfully assembled, paced and segued from piece to piece. The Kalinitta (tarantella) performed by Arakne Mediterranea and the Henry Villca Suntura Improvisation on a well-known tune are among several musical high points, and the Ensemble Deadalus performance of the traditional Neapolitan "St’ amaro core mio e diventato" is positively freaky. Suitable for all formats, and contains an ideal music to talk ratio and delivery. "Northern Lights 2009: A Solstice Celebration" is likely to fulfill and balance your holiday music programming goals and scheduling needs with ease. The accompanying promo and detailed playlist under Additional Files will serve your station and your listeners well. In ancient times, the winter solstice inspired celebration partly as a defense against the darkening days. As December closed in, cold and dark, the time was met with some anxiety – if the darkness continued – how could we survive? Cheryl Willoughby presents “Northern Lights,” a singing and dancing celebration to welcome the solstice – and coming of the new year. A holiday program and a different kind of Christmas story. This is the Christmas story behind the record Rolling Stone calls "one of the best albums ever." "A Christmas Gift For You," the 1963 record, was the creation of the young and gifted producer Phil Spector and some absolutely exquisite '60s voices and artists, including the legendary LA studio session players known as the "Wrecking Crew" (musicians that the day's more serious session players feared were going to wreck the business because they played in blue jeans and tee-shirts). Not sure what comes first here — some incomparable holiday arrangements and performances by The Ronettes, Darlene Love and Bob B. Soxx and the Blue Jeans — or the story of how they got together to make the groundbreaking Christmas record in 1963. You get both — a '60s Rock and Roll Christmas mix and a Christmas story told by the players who, nearly 50 years later, still can't quite believe it truly happened. "A Christmas Gift For You" poses no risk of temporarily branding your station as an "Oldies" station. It's a good idea to give this program an audition, but it's likely the music, story and storytelling rise to the same standards you apply to your "regular" programming. Anthony DeCurtis hosts this upbeat music-with-story program that is recommended for almost any format and almost any time of day. The inside story behind this 1963 album featuring performances by The Ronettes, The Crystals, Darlene Love and Bob B. Soxx and the Blue Jeans that raised the bar for pop/rock arrangements of classic holiday songs. The All Music Guide says, “This is the Christmas album by which all later holiday releases had to be judged,” and Rolling Stone lists it as one of the best albums ever made. Includes interviews with singers Darlene Love and LaLa Brooks, musicians Nino Tempo, Don Randi and Hal Blaine. Hosted by Anthony DeCurtis. Author Steve Turner calls it "America's most beloved song." "Amazing Grace" and its story is the gift that keeps on giving. Each "Amazing Grace" story begets another story, and they're all captured in this highly enriching and engaging interview-documentary. The song's story and history, by themselves, go well beyond interesting and captivating. But it's the history of the individual words, "wretch," "grace" and "amazing" that create the most interest and momentum. The hymn lays out the biography of John Newton, a one-time slave trader who wrote the words. He is also the wretch mentioned in the text. Author Steve Turner juxtaposes Newton's original intentions for these words with the stories of people whose lives were rescued and transformed upon hearing them at their lowest and highest life moments. These juxtapositions create the documentary's deepest, most gripping moments. "Amazing Grace: The Story of America's Most Beloved Song” is convincing story telling suitable for almost all formats and will play well in between your holiday music programs and presentations. Author Steve Turner's book "Amazing Grace: the story of an America's Favourite Song" unearths the fascinating background of a piece of music that's had an extraordinary impact. It's been a hymn of redemption. A song of comfort. A gospel favourite, a bagpipe standard, a folksong, a civil rights anthem, the most popular song for funerals. It's the song people turned to after 9/11, Columbine, the Oklahoma City bombing, and the Challenger tragedy. There are at least 450 recorded versions of it - everyone from Elvis to Mahalia Jackson. The English man who created the lyrics, John Newton, the "wretch" of the first verse, had an unbelievable life. And yet its roots are more American than anything else. Steve Turner has written about Marvin Gaye, The Beatles, Jack Kerouac, and Van Morrison. He's published his articles about music in Rolling Stone and The London Times. The music (Middle Ages, Renaissance, Appalachian to contemporary) and the performances by the Western Wind blew me away. I suggest you audition random narrative tracks to see if they fit your definition of holiday programming on your station. Again, musically speaking, this is one of your best bets for your holiday programming, with and one of the stronger forces of musical nature on the Public Radio and PRX Holiday Music "catalog." Worthy of almost any public radio format; schedule it morning, afternoon and night; ideal for Christmas Eve and Christmas Day. Holiday Light is a wonderfully diverse collection of holiday music from the Middle Ages and Renaissance to the present sung by The Western Wind one of America's preeminent vocal ensembles. The music is a delightful mix of familiar and historical songs and carols, including "Angelus ad Virginem," a popular carol from the thirteenth century; Spanish Renaissance motets and villancicos by Victoria, Guerrero, and Fernandes; early American music by William Billings; Appalachian folk songs and spirituals; and contemporary English and American carols. Featured are unique arrangements of the popular Christmas songs "Silver Bells," "Angels We Have Heard on High," and "Christmas Time is Here," created especially for the Western Wind. Guest host, Roma Downey, weaves together the music with a narrative that is informative, witty, fresh and moving. Ms. Downey became a household word through her portrayal of the angel Monica in the hit CBS television series Touched by An Angel. The narration was written by Reverend K Karpen, the spiritual leader of the Church of Saint Paul and Saint Andrew on the upper West Side of Manhattan, a well-known center of social activism. Karpen takes a relevant and charming approach to the themes and stories of Christmas that makes the events seem like they happened just yesterday. Perfect for stations looking to add at least one holiday program that doesn't follow the norm, but still absolutely captures the holiday music sound and seasonal craze. The arrangements of known and not so well-known holiday tunes, are rendered with Tullian touches, but their enjoyment is not limited to Jethro Tull fans. It's a good time to meet and hear the music and thoughts of Ian Anderson and Jethro Tull, and this program makes the introductions clever, pleasingly cynical, smart, unpredictable, intimate and appealing. Music-to-talk ratio is almost always right where you want it. 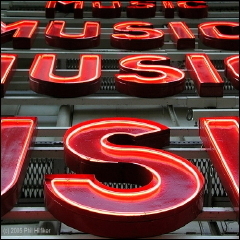 Recommended for AAA and other contemporary music formats, news and selected news/music formats. Highly recommended, but with this and other holiday program recommendations, (my) words are never substitutions for your own ears and expert knowledge of your station's listeners: auditioning is also recommended. Multi-instrumental musician, prolific writer, distinctive singer and conspicuous flutist Ian Anderson of the British band Jethro Tull shares colorful Christmas memories, and presents tracks from the "cynical and grumpy" Jethro Tull Christmas Album. Anderson talks about his relationship with the flute and relearning to play the instrument properly after three decades of recording and touring. Broadly classified at times as Progressive Rock, Jethro Tull's music spans many genres including Jazz, Folk, Classical and Blues, in ways that are as rich and brilliant as they are unique. This humorous and engaging one-hour special provides a definite counterpoise to more conventional holiday programming fare, and is well-suited to a wide age range, given Jethro Tull's lengthy and illustrious history which began in the 1960's. The band has produced 30 albums and performed more than 2500 concerts in 40 countries. Engineer and Producer Douglas Grant has also included original blends of a few of the band's recordings which Tull fans may find interesting. The program is newscast compatible, with optional content filling the hh:01-hh:06 slot; there is also a 60sec bed at 28min past the hour for those needing the hole. For full T&C, see the Information for Stations section. Attachments: 30 second promo edit with bed, and Ian Santa program graphics.